I participated in a Blogger Activation on behalf of Mom Central Consulting for the J.M. Smucker Company. I received product samples to facilitate my review as well as a to thank me for my participation. Although my children are still young, I already feel as though getting the entire family to ignore all distractions and focus on only each other is extremely challenging. What is it about the pull of our computers, phones, tablets, television and more that it's so hard to be away from them? While I'd like to be able to point fingers and tsk, tsk, tsk at everyone else, disapproving looks from my conscience require me to admit that I am the biggest culprit. 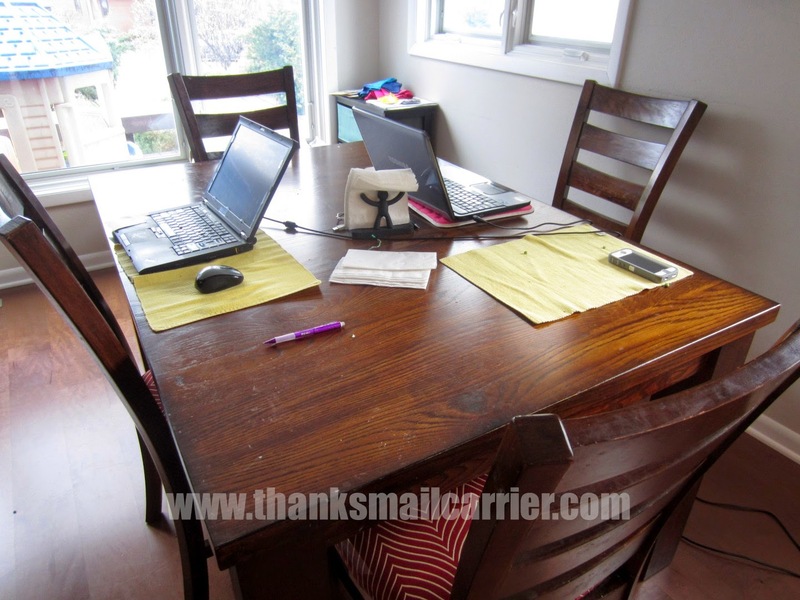 Although we have an office area in our guest bedroom, my laptop hardly ever moves from its spot on the dining room table and my phone? I'm not sure how it happens, but it seems to follow me around. Maybe there is an invisible 30" string that ties it to me? However, as technology continues to become more predominant in our lives and busy lifestyles often force us in different directions, meals around the table offer precious time for families to reconnect... which is why it is time to take the Disconnect to Reconnect pledge! A promise families can take to enjoy at least one meal a week free from electronic devices like television, cell phones or tablets, Disconnect to Reconnect is a movement to get families to unplug at the table by The Power of Family Meals. This great website, sponsored by the J.M. 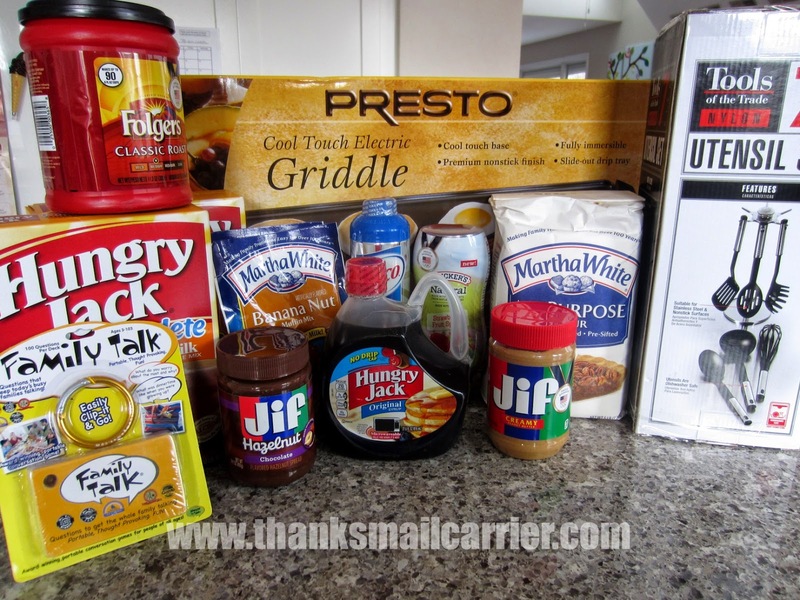 Smucker Co. family of brands, offers thousands of recipes, along with complete meal ideas, pantry planning and grocery list tools to make mealtime planning easier for families everywhere. Sharing a family meal is a great way to bond with the people who mean the most... and that's not going to happen if you're tapping on your keyboard or trying to communicate through text. It's time to gather around the table for meals without screens once a week, more often than not! ...and was ready to take part. Eating meals together will help us remain close and united as a family. 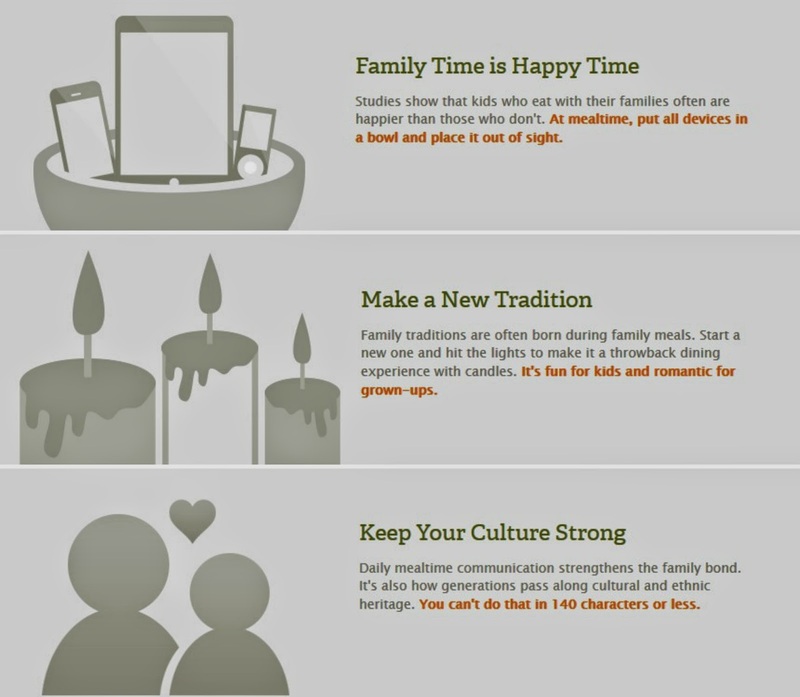 To ensure that we maintain this tradition, I pledge that during one meal, once a week, I will disconnect by turning off the television and putting away all tablets, cell phones and games to reconnect with our family. 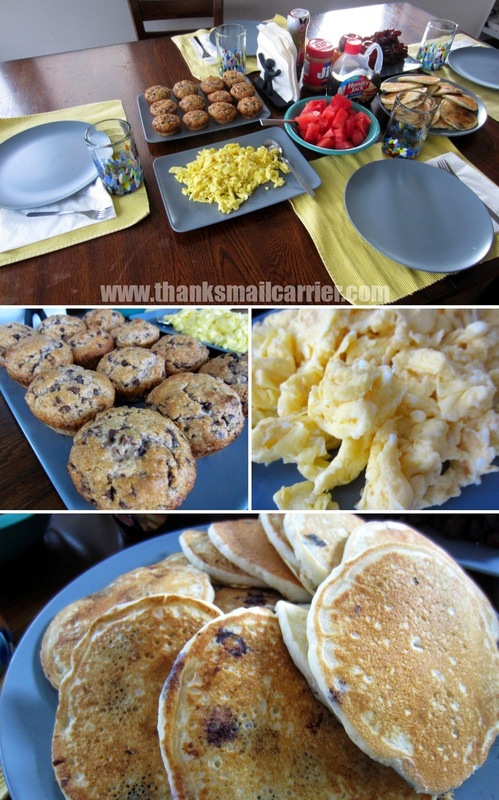 Now that we had pledged to Disconnect to Reconnect, it was time to put those words into action with one of our favorite ways to chow down, breakfast for dinner! Thanks to the J.M. 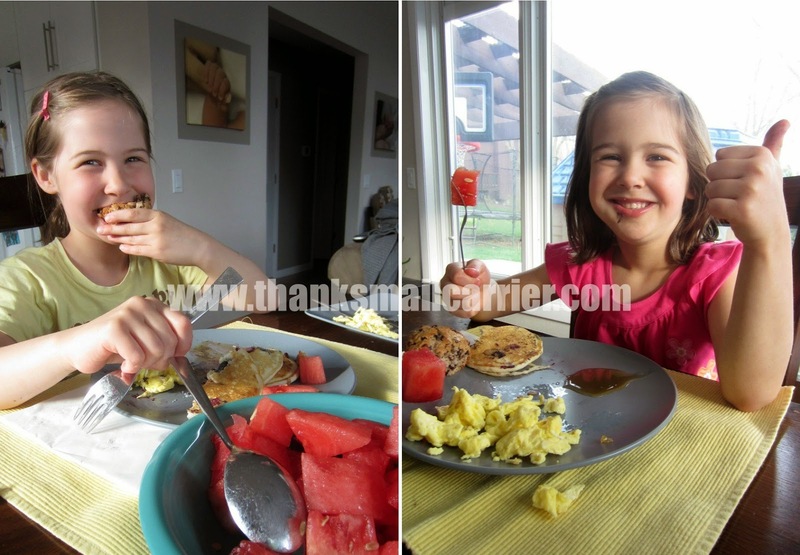 Smucker Co. family of brands, it was beyond easy to pull together a table full of delicious breakfast items that were sure to result in my family talking, eating and laughing together (with no distractions)! ...and turn it into something much more welcoming and conversation-inducing. Thanks to Little Sister B setting the table while I cooked, it wasn't long before we were ready to sit down and dig in! How could anyone want to want to pay attention to anything else when there was so much tasty food to choose from? ...we had even more great conversations thanks to the inclusion of the Family Talk game. This award-winning game was designed to keep families connected with its 100 insightful cards. Simply pick one, ask the question, and be prepared for a look into the minds of each family member! My husband had no idea that he was embarrassing Big Sister E when he hugged her at the Father-Daughter Dance! As a parent, I tell myself that I strive to keep my family connected and that I'll be sure to be present as my children grow and require them to do the same. But how can I hold them to that standard if I can't do it for myself? It's time to stop underestimating the power of a simple, attentive family meal where everyone has the opportunity to share their day, make memories and bond with one another... because the last thing I want to do in 20 years when my girls are grown and gone is regret that I didn't cherish every minute I had with them when I had the chance. Not to mention the messages that I'm modeling for them each time I glance at my email or send a text while still keeping my fork in my hand! I appreciate that The Power of Family Meals is such a helpful resource for families and provides recipes, tools and articles to help families come together around the table to share a meal. Thanks to their pledge to Disconnect to Reconnect, my family is on its way to focusing only on what is most important: each other. Are you ready to find out more and take the pledge? 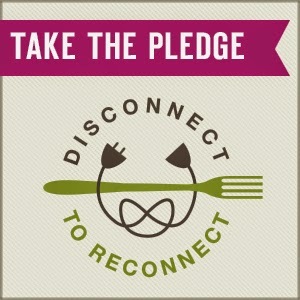 Visit PowerofFamilyMeals.com, connect with them on Facebook and Twitter and be sure to take the pledge to Disconnect to Reconnect so that you too can start breaking the social media addiction today! This sounds like a great idea, I think unplugging for one meal a week is not too much to ask. Thank you for sharing this post. I think ALL meals should be unplugged. Anything else is rude! i have already taken the pledge and think this is a great idea. it is a good way to spend time and catch up with your family. I'll admit that when I was growing up 50 years ago there weren't all that many electronic things, but we had a rule of no TV and no phone calls.